“Everything old is new again” isn’t Just a Song and Dance. Coloma, MI — (ReleaseWire) — 02/10/2016 — With troubles in the economy and climate change, as well as concerns about pesticides and genetic engineering, more and more people are going back to their backyards and planting vegetables or fruit trees. Likewise, Grandpa’s Orchard is reaching a whole new generation of customers (a.k.a. Millennials) interested in heirloom varieties. So, just in time for the 2016 growing season, Grandpa has made all of his wisdom and experience available online in a new eBook, grafting video, and updated website. First up, Grandpa’s Orchard: Our Guide to Backyard Fruit Trees Grandpa’s Orchard: Our Guide to Backyard Fruit Trees is a handy guide available as a Kindle eBook for the backyard gardener who wants to start planting fruit-bearing trees. This book is full of tidbits and words of wisdom garnered from over 60 years (and several generations) of experience. Next up, is a video of Grandpa Matt demonstrating bud grafting in his own nursery orchard in Coloma, Michigan, which is in the heart of the “fruit belt” five minutes from Lake Michigan. Watch Grandpa Demonstrate Fall Bud Grafting on apple trees, which isn’t too difficult. Many backyard orchardists can’t resist the challenge of “doing” their own trees. To help, Grandpa now carries a high-quality line of grafting supplies, including SCIONON® Grafting Shears™. Finally, check out http://www.grandpasorchard.com, which has had a facelift recently to make the ordering experience even easier. It is sort of ironic that with a name like Grandpa’s Orchard, Grandpa Matt has been a fast follower of in the world of technology. Grandpa’s Orchard has been selling bareroot fruit trees online for more than a decade and was quick to jump on the social media bandwagon through Facebook, Pinterest and Twitter. The online ordering process is easy, but you’ll want to order early as most of the popular varieties quickly sell out. 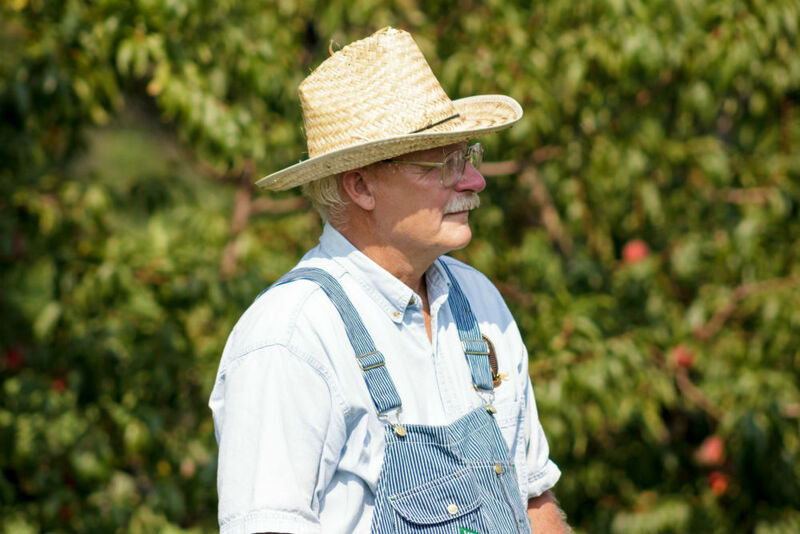 Grandpa’s Orchard wants to be your primary source for backyard fruit trees. With loads of information available online, including recipes, an eBook, and now a grafting video, getting back to basics by growing your own fruit is so easy.